Facing Autism in New Brunswick: YES! 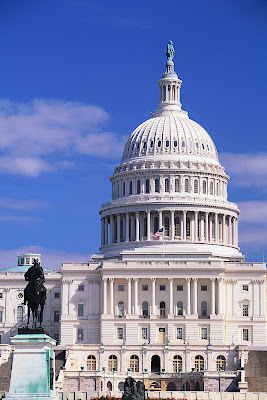 US Senate Passes CARA, Combating Autism Reauthorization Act! YES! US Senate Passes CARA, Combating Autism Reauthorization Act! Excellent! The US Senate has now passed CARA, the Combating Autism Reauthorization Act, and it should soon be headed to President Obama's office where it has already been indicated the President would sign! The US has led the way in useful autism research and the only real hope for improved autism treatments and cures for autistic children and adults in Canada rest with American researchers. CARA WINS FINAL APPROVAL IN THE SENATE! NEW YORK, N.Y. (September 26, 2011) – The United States Senate this evening passed the Combating Autism Reauthorization Act of 2011 by unanimous consent, sending the bill to President Obama for his signature. Enactment of the bill, which the President has promised, will assure that federal support for autism, research, services and treatment will continue uninterrupted for another three years. CARA would authorize a total of $693 million on continued biomedical and treatment research on autism and require further development of an overall strategic plan for the intensification, expansion and better coordination of federal efforts designed to help persons with autism and their families. The fight for CARA in the Senate has been led by Senators Robert Menendez (D-NJ) and Mike Enzi (R-WY). CARA renews the Combating Autism Act which was signed into law on December 19, 2006 by President George Bush following a nearly unanimous Congressional vote. The CAA made a clear statement by the U.S. government on the public health emergency posed by the growing prevalence of ASDs, and the lack of adequate research, effective treatments, and services to address this urgent and growing crisis. The bill was unanimously voted out of the Senate Health, Education, Labor and Pensions Committee on September 7 and had been awaiting final Senate action. Recognizing the short time left for Congress to act, House Majority Leader Eric Cantor (R-VA) last week agreed to expedite a vote in the House where the bill cleared by two-thirds voice vote. The measure, HR.2005, sponsored by Representatives Chris Smith (R-NJ) and Mike Doyle (D-PA), attracted strong bipartisan support in both houses of Congress and was originally sponsored in the Senate by Senator Robert Menendez (D-NJ) and Senator Mike Enzi (R-WY). Here in Canada our CIHR has long been pandering to the Neurodiversity, anti-ABA, anti-autism cure research crowd. A National Autism Symposium was rescheduled to prevent ABA activists, including me, from participating. Featured participants at the rescheduled event included anti-ABA activists Michelle Dawson, Dr. Laurent Mottron, Dr. Peter Szatmari, Dr. Susan Bryson and Dr. Eric Fombonne. Mottron (Dr. M) expressed his anti-autism cure beliefs in a human rights tribunal hearing of Michelle Dawson's human rights complaint against Canada Post. Passing CARA does not guarantee that treatments or cures for autism disorders will be found or that the causes, including environmental causes, of autism disorders will be found. It does mean that these things are still possible. If there is still hope for research breakthroughs that will provide real help for autistic children and adults, including those severely affected by autistic disorder, it is because of autism research being conducted in the United States. Once again, this Canadian autism dad says Thank You to our American neighbors. $693 million is better than nothing, but it should get the same level of support if not more than other disorders that are less devastating and less prevalent.